Pharma Franchise For Ointment – SwisscheM Healthcare is here to bring you quality ointment drug formulations. Our company manufactures and supplies a wide range of pharmaceutical formulations. Pharma franchise for ointment is being offered at most genuine investment plans. We are a top pharma franchise company in India to bring monopoly business opportunities in all the locations of India. Ointments are one of the largest used derma range and beauty care product. It has good demand in India. One can easily earn well by pharma franchise for ointment. To give a good start and expansion opportunities to the members, SwisscheM Healthcare is the best PCD Company in India to bring you this chance. We are ISO certified along with having GMP-WHO units according to Schedule M. a well-known pharma manufacturer and supplier, we have been appreciated by our associates for our quality medicines and investment plans. What Are Best Reasons To Invest in PCD Pharma Franchise? It allows working in the own city. PCD Pharma Franchise business requires low investment which reduces the risk as well. The income in this business is pretty good and depends on you. The more you sell the more you will earn. The company provides the monopoly rights for better mutual growth. Ointments are a semi-solid topical medication preparation that is applied to the skin or mucous membranes. They are homogeneous and a high viscosity. They can be medicated and non-medicated in nature. The ointment is categorized in the Dermacare range which shares a fair deal with other sectors like diabetic range, ophthalmic, orthopaedic, pediatric, dental range etc. The demand for ointments is high in all the parts of India. One can find a good business as a franchise owner. We are amongst the reputed pharma manufacturer and supplier for ointments in India. Our company is deeply into pharma marketing services. We are inviting people from all over India to become our member. Quality drug formulations can be found with us which are DCGI approved. They are developed and processed under the observation and direction of experienced experts. They are well qualified and have years of intensive training for proving reliable drug formulations. For this purpose, we have installed latest machines and equipment. To manufacture ointments, we use hygienic and sterilized tubes of metal and plastic. We have made sure that no compromise has been made to make the formulation safe and qualitative. Several testing has been made in a different environment and checking processes have been made to prevent spoilage, spillage and corrosion. 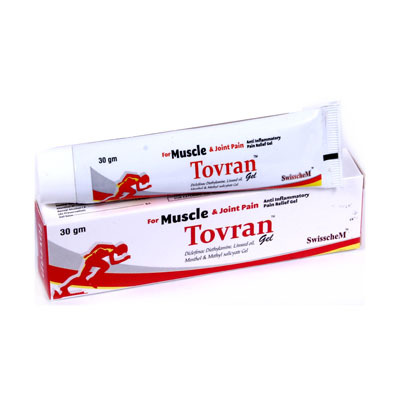 You can rely on SwisscheM Healthcare for best quality ointment for pharma franchise in India. Why Choose SwisscheM Healthcare For PCD Pharma Franchise in India? An attractive list of promotional and marketing tools and gifts. Bonus and incentives for achieving sales target. Frequent launching of new products for better growth. Support 24×7 from the company. If you want to talk to us regarding our ointment range, monopoly franchise and PCD franchise vacancy in your desired location then call us at +91-8437837771 or +91-9780917734. You can even ask other queries for other business opportunities of pharma manufacturing for ointment. We will be happy to hear from your end.